The majority of students will need assistance with paying private school tuition fees, and one of the ways in which they can obtain this assistance is by applying for – and being awarded – one or more grants. A grant is a non-refundable award that is made to a student in need either to fund a specific research project or to generally assist with paying tuition expenses. Private schools are not government-funded so, on the whole, their tuition and residency costs exceed those of public schools. Most private schools have therefore established institutional grants – grants that are funded through the school itself – in order to assist their students with coping with the financial burden of being educated through their school. Having to audition or submit a portfolio of work. Private schools exist throughout the country and are not just contained to one area or state, and this list is merely representative of the available private school grants. Students who are interested in finding out more about private school grants should contact private schools in their area or review the Financial Aid sections of private school websites. The TEACH (Teacher Education Assistance for College and Higher Education) Program. Athletic Grants: various athletic grants are offered by this university and details of each individual grant can be obtained from a particular sport’s Head Coach. The Achiever’s Grant: this is an award that is made only to students who have been selected to receive the Washington Education Foundation Achiever’s Scholarship. The amount paid out is $2,000, and one of the selection criteria is financial need. Pacific Lutheran University should be approached directly should any students or prospective students require further information. Queries can be addressed to PLU C/O The Office of Financial Aid, 12180 Park Avenue South, Tacoma, WA 98447 (tel: 253-531-6900 and website). They file certain documentation along with the application form including transcripts of their or their parents’ income tax returns and the Student Aid Report that they would have received after completing their FAFSA form. At least two institutional grant programs are offered at Wayland Baptist University (WBU): the Local Church Grant and the Residence Hall Grant. Students must be enrolled for full-time study and live on-campus in a Wayland dormitory. More information concerning this university’s grant programs can be obtained from the campus at 1900 West 7th Street, Plainview, TX 79072 (tel: 1-800-588-1928 and website). 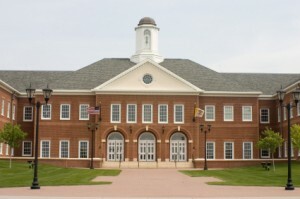 Applicants have to meet certain requirements as set down by the College’s Financial Aid Office. As much as $2,000 will be awarded to each successful applicant depending on exactly how much money is available in each academic year. Those students who are interested in attending this college and applying for this grant can contact the college’s Financial Aid Office directly at 95 North Avenue, Burlington, VT 05401 (tel: 1-800-862-9616 and website). Students have to file a complete application for financial assistance with the college’s Student Financial Services Office. Further information regarding this institutional grant program and any other program that the college may administer can be obtained from them at 98 Bridge Street, Henniker, NH 03242 (tel: 603-428-2000 and website). United Methodist Ministers’ Dependent Grants: to be able to apply for this grant, a student has to be a dependent of a United Methodist Minister. Students also have to be enrolled for a full-time program at the college and, if selected, will receive an amount of $5,000 per year. The Centenary College of Louisiana can provide further information regarding these grant programs and they can be contacted at 2911 Centenary Boulevard, Shreveport, LA 71104 (tel: 1-800-234-4448 and website). The Hawaii Grant: students eligible to apply for this grant must have either graduated from a high school in Hawaii or will have obtained an associate degree through a community college in Hawaii. They must be full-time first year or transfer students at the university and must have maintained a cumulative GPA of 2.25 and above. The selected student will receive $3,000 per year. Apart from the above, there is also the Need Based Grant for which financial need is the deciding factor in the selection process. Students who are interested in attending the Chaminade University and applying for one or more of its grant programs can contact the university at 3140 Waialae Avenue, Honolulu, HI 96816 (tel: 1-800-735-3733 and website). Students have to be deemed qualified to receive the award in terms of standards set by the university’s Office of Financial Planning. Further information regarding this grant program can be requested from Sullivan University, and they can be contacted either by telephone (1-800-844-1354) or through their website. For the Freshman Achievement Award, applicants must file transcripts of their high school grades and SAT or ACT scores and, for the Transfer Achievement Award, applicants must file their official college transcripts. MC also places an upper limit of $4,500 on all scholarships and institutional awards, so the amount awarded under the Opportunity Grant plus any other award cannot exceed this $4,500 cap. Students can obtain further information regarding these grant programs directly from Mississippi College at 200 South Capitol Street, Clinton, MS (tel: 601-925-3000 and website. Johnson & Wales (JWU) offers two privately funded grants: the JWU Grant and the Presidential Grant. Students who are accepted into the Presidential Grant program will receive one award of $2,000 and there is no deadline for the submission of grant application packages. Any JWU student can apply for this grant and there is only one eligibility requirement: Students must have been accepted into JWU for the previous academic year but must have not been able to enroll. JWU can be contacted in order to request further information about this grant program and the others that they offer. They can be reached 8 Abbott Park Place, Providence, RI 02903 (tel: 1-800-DIAL-JWU and website). My heart has been introduced to a whole new section of life that is soon to come. For as right now my heart is set upon going to Biola Christian University(private school), as well as being a Godly cheerleader to all students attending. This University consists of many lovers of Christ, many in whom are available to be Godly examples in my life unlike being surrounded by people who live by the world, and being taught by teachers who have Christ like actions and have the spirit of the living God living inside of them. I was just recently and unexpectedly informed that I still owe $14,000 for this year to come, this was a huge surprise for my parents and I but my trust is still in the Lord. The word says, he will bless the works of our hands, and because I have faith in his word I’m doing all that I possibly can. I’m looking to God for favor and I’ve brainstormed on this subject and I’ve come up with a few ideas of support and fundraising. I would very much appreciate your generosity in any help financially that you may be able to provide in grants. To go to Biola Christian University would be MY dream come true, it would be a huge blessing that I would never forget, it would be what I like to call a “kiss from heaven”. Please send this to anyone who you feel would like to sew into the life and ministry of one of Gods children! I wish you to be with mercy and you open up aprogramme of helping small institutions in low developing country like my country uganda. I just need to prove those who say I can’t make it in life wrong….. I believe I have a future but my only problem is how to go to school..i need help please..